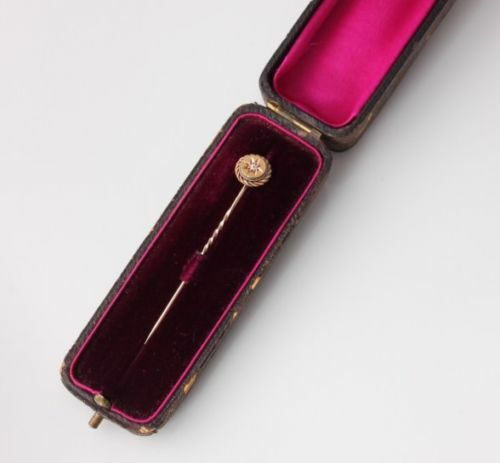 Antique 15ct Gold & Natural Diamond Stick Pin Tie Clip / Brooch. Boxed. 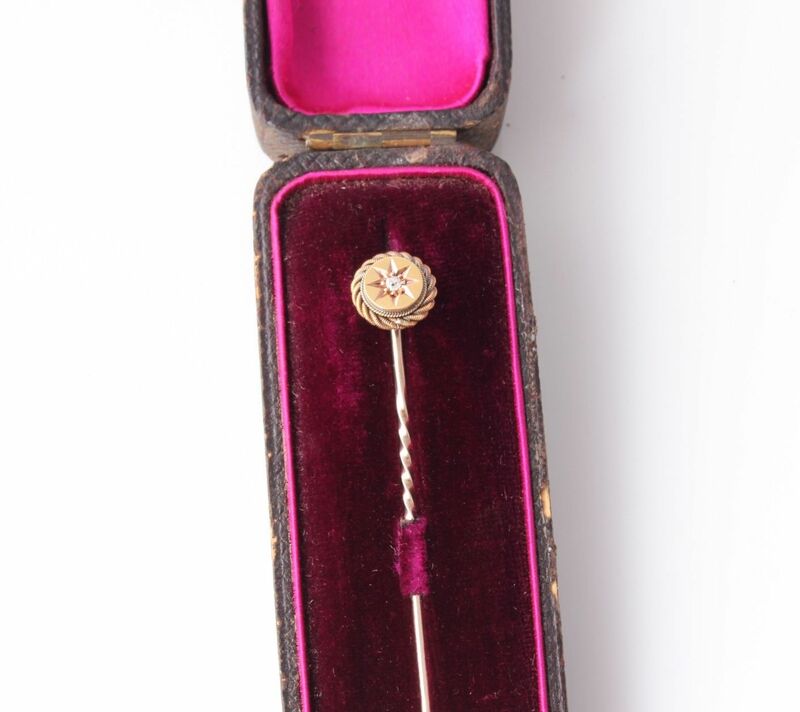 This lovely stick pin/tie pin that dates from the late 19th/early 20th century is set with an old cut natural diamond and is crafted in 15ct yellow gold. 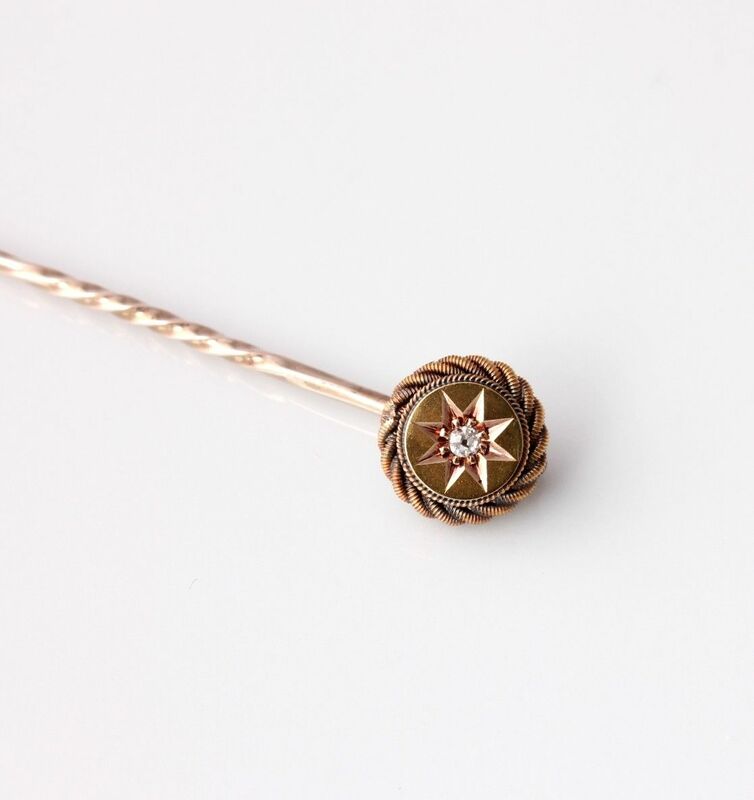 A very nice antique piece of jewellery that would make a wonderful gift. Materials: 15ct Yellow Gold. Natural Diamond. 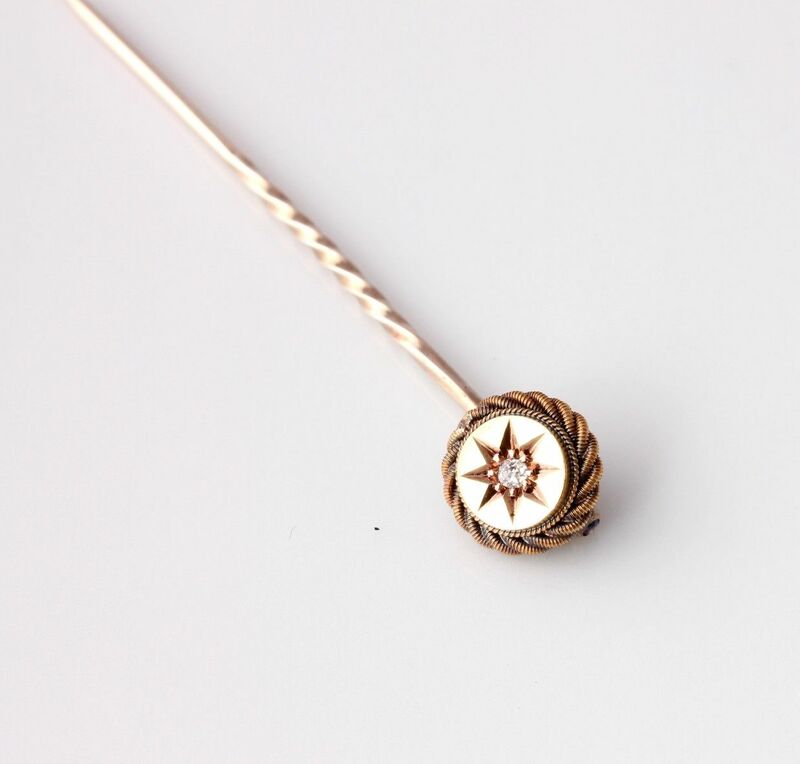 Length: 5.5 cm (2") approx. 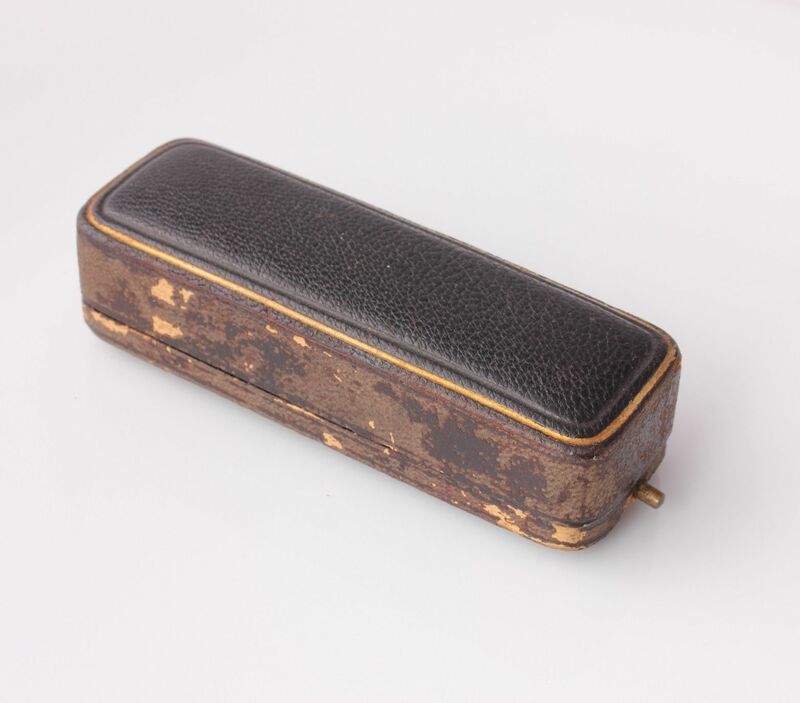 Comes in an antique box. Condition: Excellent antique condition. Cleaned and ready to enjoy. Please see pictures. 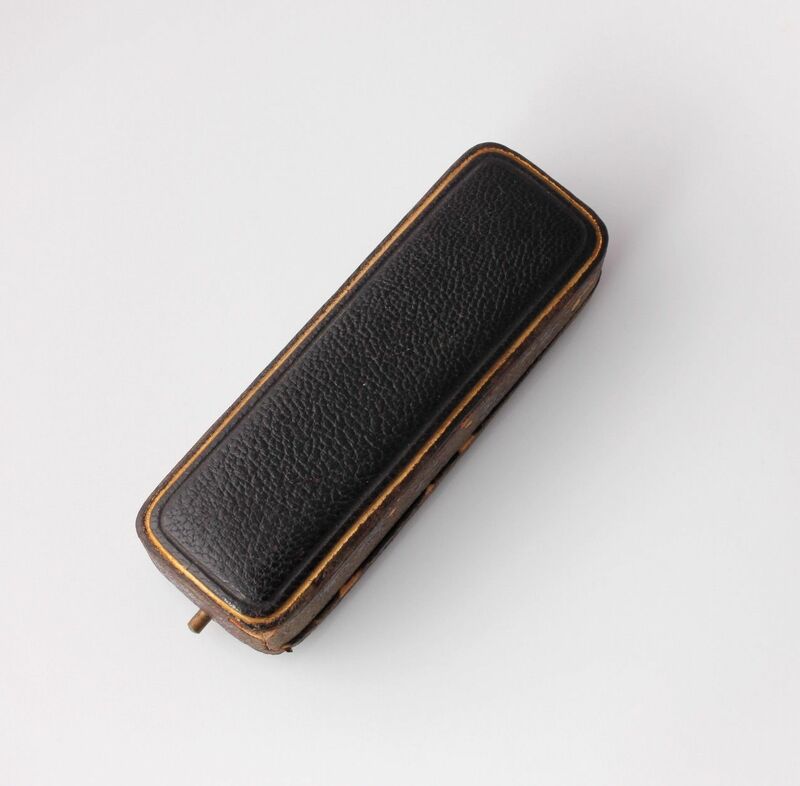 Comes in an antique box.